Are you new to the Dances of Universal Peace? Here is information to give you some understanding of what we do in the Dances of Universal Peace. READ: A wonderful blog post describing Dances of Universal Peace written by Roger Lynn, Transitional Pastor at Plymouth Congregational, Helena Montana. Roger describes himself as an "experiential mystic - lover of life - photographer - flute player - poet - hiker - hot spring soaker - expresser of gratitude - blessed beyond the capacity of words to express." ​Dance Leader from Portland, OR. 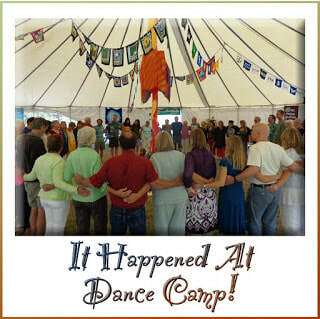 WATCH: Visit our video gallery to see a wonderful video "Invitation to the Dance - An introductory documentary about Dances of Universal Peace" and several videos of dances from dance camps and retreats in our Southwest US region.